On June 14, 2016, five presenters previewed their upcoming 2016 Power of Words Conference workshops, including Doug Lipman, Rebecca Hom/Rachel Hom, Marguerite Walker, Kelly DuMar, and Katey Branch. Listen to the audio recording below! Rhiannon is a vocal artist with a vision of music as a vehicle for innovation, healing, transformation, and social change. 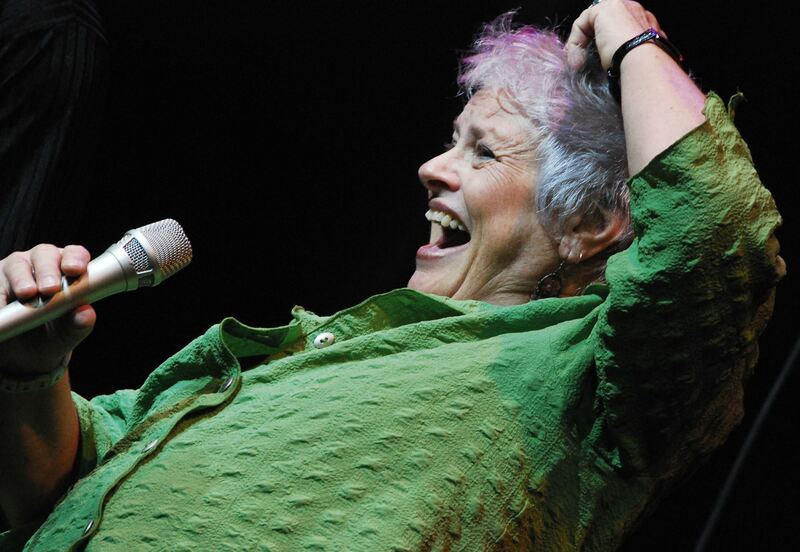 A vibrant, gifted singer, performance artist, composer, and master teacher, Rhiannon has been bringing her unique and potent blend of jazz, world music, improvisation, and storytelling to audiences for four decades. Seema Reza is a poet and essayist based outside of Washington, DC where she coordinates and facilitates a unique hospital arts program that encourages the use of the arts as a tool for narration, self-care, and socialization among a military population struggling with emotional and physical injuries. In 2015, she was awarded the Col John Goia Patriot award by the USO of Metropolitan Washington-Baltimore. Callid Keefe-Perry is a husband and father. He is a member of the Religious Society of Friends (Quakers) and travels in the Ministry within and beyond that denomination. Currently he is doing doctoral work focused on public education, the role of creativity and imagination in schools, and the how schools spiritually and psychologically affect youth. Previously he has been an public school teacher, an instructor of comedy improv, and the founder of a community theater in Rochester, NY. He is the author of Way to Water: A Theopoetics Primer and is one of the founding members of the journal, THEOPOETICS. Lyn Ford is a fourth-generation storyteller who shares the gifts and heritage of orature from her Affrilachian family. Lyn is a nationally recognized raconteur and workshop presenter, an award-winning writer, a Thurber House mentor to young authors, a teaching artist with the Ohio Alliance for Arts Education and the Ohio State-Based Collaborative Initiative of the Kennedy Center, and a Certified Laughter Yoga Leader. Where Water Meets Stone: Mixed Media Improv & Local Maine Music & Sea Chanties: Come one come all! Join conference early birds Thursday night for a fantastic evening of rousing old time music, sea chanties, and mixed media improv from near and far — including Maine's music treasures and song leaders, Bill and Sarah Smith. Allison Freeman specializing in sea chanteys joins the lineup, along with Katey Branch from Halls Pond Healing Arts in South Paris also performs. Readings by Maine poet Martin Steingesser will inform Ithaca New York's Out of the Blue Improvisational ensemble with Stan Stewart, Jaydn McCune, Alice Saltonstall, and Valerie Anne. Laughter, Breath, Joy: Communal Communication — Lyn Ford: Whether or not we are aware of it, we are all a community of storytellers. Whether we set the narratives to music or mime, or sing the stories, or turn them into poetry and dance, storytelling is what the two-leggeds on this planet do. How do we do this in a way that brings spirit-filled playfulness back into our personal lives, and helps us to be aware of the shared story of our humanity? What and how can we know and do so that we build opportunities for empathetic communication and communal joy through the work of our wordplay? Come and play in gentle breathing, laughter, movement and writing aerobics. Stretch the story muscles. Bring questions and honor answers that are already within us, through laughter, Light, breath, and the joy of sharing our words. Improvising Life: More than Just Silly Make-em Ups — Callid Keefe-Perry: This workshop will be an exploration of the ways in which improv can be part of personal and communal change. Style-wise, we'll focus on something similar to what nationally-renowned improv teacher Jimmy Carrane calls “Slow Comedy,” a way of doing improvised theater that is grounded in honest emotional responses and connection. But still wicked funny. Seriously. The workshop will be a mix of reflection, hands-on activities, and acting exercises. We will play with the understanding that you don’t have to act funny to be funny and that there is Truth in Comedy. This is not a masterclass for experienced long-form improv actors: no experience is necessary and all levels are welcome. Callid Keefe-Perry is a husband and father. He is a member of the Religious Society of Friends (Quakers) and travels in the Ministry within and beyond that denomination. Currently he is doing doctoral work focused on public education, the role of creativity and imagination in schools, and how schools spiritually and psychologically affect youth. Previously he has been a public school teacher, an instructor of comedy improv, and the founder of a community theater in Rochester, NY. He is the author of Way to Water: A Theopoetics Primer and is one of the founding members of the journal, THEOPOETICS. Singing with the Sage: The Craft, Spirit, & Community of Voice & Language Improvisation — Rhiannon: With her new instructional/autobiographical book Vocal River in hand, Rhiannon comes to the Maine Coast, creating music in round and resonant circles, in a safe and dynamic group of singers. Take your place in the world of song and invention. Explore the possibilities of spontaneous composition and the language of storytelling. Strengthen harmony and rhythm, vocal tone, texture, and technique. Hear your own song and learn new ones on the beach and the porches of of Ferry Beach. Come listen for the songlines, sing your way into your own authentic voice.Through practicing the craft and spirit of improvised singing you and your fellow denizens become an inventive singing tribe and the music spills out to bless others in the community. Rhiannon is a vocal artist with a vision of music as a vehicle for innovation, healing, transformation, and social change. Rhiannon’s book about her life and teaching methods, Vocal River: The Skill and Spirit of Improvisation, was published in 2013. 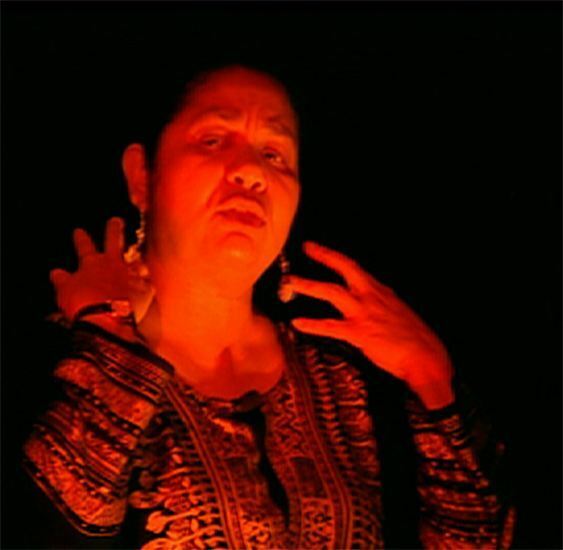 A vibrant, gifted singer, performance artist, composer, and master teacher, Rhiannon lives and works on her farm on the Big Island of Hawai’I, Ha Lau Leo Nani, The Gathering Place, honoring culture and community. Discoveries in the Labyrinth: Writing Non-Linear Narratives — Seema Reza: A generative hybrid short-form (poetry, memoir, and prose) writing workshop. Through a range of writing prompts and discussion focused on non-linear narratives, participants will begin to consider and explore themes and motifs that occur naturally in their own writing. Participants will leave the workshop with several pieces of writing already in progress. Seema Reza is the author of “When the World Breaks Open,” a memoir of essays and poetry published by Red Hen Press in Spring 2016. Based outside of Washington, DC, she coordinates and facilitates a unique multi-hospital arts program that encourages the use of the arts as a tool for narration, self-care and socialization among a population struggling with emotional and physical injuries. She serves as a council member-at-large for the Transformative Language Arts Network. Poetry as Medicine: Mindfulness and Reflection in Poetry Therapy — Marianela Medrano, Nancy Scherlong: This workshop is designed for those who would like to have an in-depth experience of poetry as medicine. This is an experiential and didactic workshop using some of the basic tenets of mindfulness practice (calm abiding, non-attachment, compassionate acceptance, breath-work and meditation). Participants will engage in body-focused breathing, walking and seated meditation and write reflectively prior to and after meditations in order to experience stress reduction techniques and to respond to prompts focused on our practice. Participants who are in training to become poetry therapists will receive peer group hours towards certification. The didactic portion will include discussion of group development, choice and use of literature, goal setting and implementation as well as safety/confidentiality, facilitation techniques. There will also be time for questions about implementing poetry therapy with specific populations. Marianela Medrano was born and raised in the Dominican Republic, and has lived in Connecticut since 1990. A poet and a writer of nonfiction and fiction, she holds a PhD in psychology. Medrano is in private practice in Connecticut. She is vice-president of Grace Works Inc., a charitable foundation involved in outreach in the developing world. Her literary work has appeared in numerous anthologies and magazines in Latin America, Europe and the United States. Nancy Scherlong is a licensed clinical social worker, poetry therapist and mentor, coach and practicing Buddhist. Her holistic psychotherapy practice focuses on mindfulness-based stress reduction. She is trained in a variety of integrative models including EMDR , Somatic Experiencing, Internal Family Systems and Psychodrama and utilizes Eastern healing and philosophies in her work. She teaches in BSW and MSW programs as an adjunct professor and has multi-modal private practices in NY and CT states. Wakefulness & Joy — Seema Reza: In a world that feels increasingly broken in a myriad of ways, each of us must work to balance wakefulness and joy—being aware and engaged in both the grief and beauty of the world around us. Poet and essayist Seema Reza will talk about the role of the dual practices of writing and observation in her effort to experience the world honestly and search for beauty. Stuck on Pause: Public Schools & the Decline of Creativity — Callid Keefe-Perry: Drawing on research from the fields of psychology, education, and spirituality studies, this talk will explore some of the facts around American youth and what psychologist Kyung Hee Kim calls "The Creativity Crisis." Keefe-Perry thinks that being imaginative and creative is part of what humans are supposed to be doing to be human and fears what it means when our schools and systems suppress these vital components of human experience. This talk will make clear some of the current practices that appear to contribute to the current state of affairs and suggest reasons and ways we might respond. 1A. Story in Medicine: Listening for Story is the 73-Second Solution, and Writing Story to Understand Ourselves and Others — Tom Janisse: Reading poetry and little stories by physicians provides the context for exploring story in medicine for communication, connection between people, and greater understanding and insight. We'll travel the path from seeing story and healing stories, to the practice of story, also exploring “The 73-Second Solution.” We'll also write of our own medical experiences, share our work, listen for what resonates, and consider how story discovers meaning in medicine. Tom Janisse, MD, MBA is the founding editor in chief of The Permanente Journal and publisher of The Permanente Press. During his nine years as Associate Medical Director of Northwest Permanente Medical Group in Portland, Oregon, he conducted relationship research with physicians with the highest patient satisfaction. He sponsors Narrative Medicine writing workshops for doctors and nurses and publishes their Quick Writes. His published medical writing includes: a poem in New England Journal of Medicine. 1B. Intersectional Autoethnography: A Narrative Approach to Personal and Social Transformation — Liz Burke-Cravens: Come explore autoethnographic writing – writing our personal experiences in ways that illuminate broader cultural, social and political realities – to examine our personal identities as they relate to privilege and oppression, social justice and healing. We will learn about various approaches to autoethnographic inquiry, and employ writing prompts to reveal the complexity of multiple identities. This workshop will benefit writers of all kinds, social justice activists, critical educators, organizational leaders, and anyone inte rested in the relationship between the writing of life experiences and the social forces that shape them. 1C. Mother’s Song: Nurturing Self through Expressive Writing — Joanna Tebbs Young: Inside is a voice that longs to heal our wounds and foster our potential. It is the nurturing voice of the archetypal Mother, one that can be reached through body-wise expression. As a mother empowers her children, we can grow in creativity, connected knowing, and confidence—and be heard—through Expressive Writing. Joanna Tebbs Young, MA-TLA is a Transformative Language Arts facilitator, presenter, and coach in Vermont. A freelance writer, she is a columnist for her local paper and is currently writing a book for a historical society. She blogs at wisdomwithinink.com and rutlandwhen.wordpress.com. 1D. Your Livelihood is a Road Trip, Your Life Is the Terrain — Caryn Mirriam-Goldberg: How do you balance writing, storytelling, performance and/or other arts with making community and a living? Using writing and mapping exercises, we'll explore what our lives are calling to us to do, and how to keep fed, clothed, housed, inspired, beloved, and sane along the way. Along the way, we'll investigate how to clarify our work, garner right livelihood skills and tools, learn from our community, and take care of ourselves at home and beyond. Caryn Mirriam-Goldberg is the founder of Transformative Language Arts at Goddard College, the 2009-13 Kansas Poet Laureate, and author of 19 books (poetry, fiction, memoir, and two TLA anthologies). She facilitates community writing workshops widely on living with serious illness, finding our voices, rewriting our myths, and re-inhabiting body and earth. With singer Kelley Hunt, she writes songs and offers Brave Voice writing and music retreats. Caryn serves on the TLAN Council. 1E. Expressive Arts: Growing Your Intermodal Toolbox — Emilee Baum Trucks: Expressive Arts (EXA), in addition to language, draws on additional modalities of art to facilitate the creative journey for individuals and groups. In this introduction, we’ll look at the intermodal nature of expressive arts, and learn about the interrelated utility of working with different art forms across an image or experience. We will explore strengths and barriers for successful engagements with different artistic modes, learn steps in the expressive arts session, and make art together. Emilee Baum Trucks works professionally as a facilitator and moderator, and holds an MA in Embodiment Studies from Goddard College. She is currently enrolled in the PhD program in Expressive Arts Facilitation at The European Graduate School in Saas-Fee, Switzerland. The Hernia Journal: My Word-Dance Through Darkness to Joy — Lyn Ford: A journey in progress, from belly-ache to belly laugh, from abuse to a-ha, from hell to Hafiz, shared in personal narrative, folktale, and poetic joy. 2A. The Values of the Future Through Storytelling — Doug Lipman: We all know that stories can teach values through their content. But the process of telling stories - even the process of te aching storytelling - can convey values critical to a changing society. Learn a series of activities you can use to train storytellers. You'll both experience the activities for yourself and reflect on the values embedded in each activity - values that, I believe, will be necessary for helping our society reach a brighter, more humane future. Doug Lipman, in the first grade, was shocked to discover teachers who were not as supportive or skillful as his father, who believed in him, delighted in his strengths, and helped him overcome obstacles. As an adult storytelling teacher, he could finally expand and share his skills. Since then, he's coached storytellers of all levels on three continents and written the book, The Storytelling Coach, and over 150 issues of his "eTips from the Storytelling Coach" newsletter. 2B. Writing Truth & Beauty: Using Personal Photos for Creative Writing & Healing — Kelly DuMar: Our photo streams show what we care about, what moves and mystifies us, the people, places and experiences that bring meaning and healing into our lives. We’ll write creatively from personal photos to express the truth of what we feel - and know - and haven’t said, as we capture the beauty and deeper meaning of an image in words. We’ll write to reveal our identity, values, resilience, healing relationships and creativity. Bring photos. 2C. 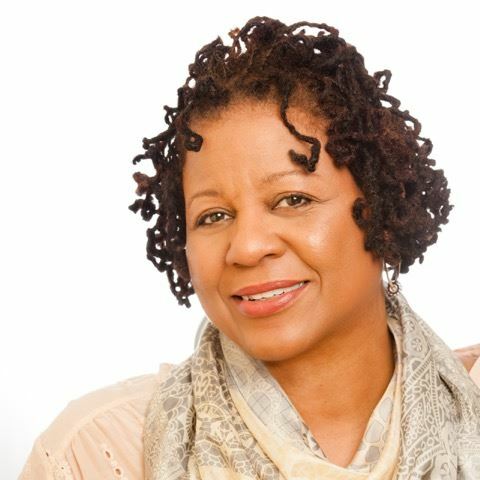 Performance, Presence, Poetry, & Justice — Larraine Brown: This workshop will offer a variety of performance, storytelling, and writing tools for participants to consider the role of language in their own creative approaches to social and restorative justice. Larraine will draw on her work with performers, spiritual teachers, writers, including her intensive study with Brazilian director Augusto Boal’s revolutionary embrace of experimental forms, to examine the interaction of participant's art and activism. Larraine Brown worked with radical Jesuits to create ‘community’ governments in Toronto's most violent neighborhoods. She facilitated several experimental theater and writing projects and while at the Brecht Forum’s ‘TOPLab’ collective based in NYC, she created improv teams ‘Playing in Traffic’ and ‘The OutCast Players’ (adults performing to illustrate the lives of those who cannot read). Her play ‘Secrets’, about the price of keeping political secrets, won several awards, and was performed around New England. 2D. Connect to the Earth & Dance your Heart, Body and Soul AWAKE! — Katey Branch: Using music from artists with an environmental theme Katey Branch will introduce people to the Ecstatic Dance Rhythm Wave. The music guides the wave and invites participant s to expand their awareness and experience of moving through flowing, staccato, chaos, lyrical and stillness rhythms. These rhythms open up experiences held in the body/mind/spirit and offer a path to knowing more about ourselves and releasing old stories and seeing new possibilities. Katey Branch, Masters in Environmental Ed. from Lesley University. She co-founded Project AWARE and the Alan Day Communtiy Garden. She has been practicing Contact Improvisational Dance and Ecstatic Dance for over 20 years and teaching introductions to both. She offers dance, massage therapy, yoga and life transitions counsel at Halls Pond Healing Arts. Katey is a multi media artist using song writing, poetry, pottery and painting. Her motto is “Cultural Transformation through authentic creative expression. 3A. Bodywise Explorations — Stan Stewart: It’s easy to find people who embody their beliefs to both creative and destructive ends. Our challenge is to do this in a positive and mindful way. One way to develop this consciousness is to have a practice of mind-body-spirit integration activities or “forms." This session will offer a brief experience of InterPlay forms that have helped many people internationally to bring their intentions for making the world a better place to fruition. Come in comfortable clothes for movement. No prior experience is required and all are welcome. We will explore avenues to find our own stories and how they connect with the gathered community. Stan Stewart, in addition to his work with Bobby McFerrin and Rhiannon, is certified in InterPlay, which has been described as helping to “unlock the wisdom of your body”. Stan is a live and recording musician primarily focused on improvisation as a soloist and in ensembles. The purpose of his musical arts is to connect with other artists, community, fans, self, etc. Visit http://muz4now.com/ to learn more about Stan. 3B. A Dream — Juanita Kirton: This performance piece is a one women monologue that engages the audience through movement, song & words. It was written to depict that enslaved women in this country had profound dreams & desires and this strong nature provide them with the ability to triumph over their immediate and desperate environment. It speaks to how the mind can transcend the condition of the body. The monologue speaks to the mental and emotional connection to what might be possible and transports the character out of her existing disorder to a place of hope. Dr. Juanita Kirton earned her MFA from Goddard College, 2015. She studied under Rebecca Brown, Beatrice Gates, Michael Klein, Julie Maloney, and Jacqueline Sheehan. Juanita is a member of Women Who Write and Women Reading Aloud workshop series. She directs QuillEssence Writing Collective. Juanita is published in several anthologies and is currently the poetry editor for Clock House Literary Magazine. She resides in Northeast, PA with her spouse and is a US Army Veteran. 3C. The Power of No Words — Beth Whitman: Alzheimer’s is becoming epidemic, and many of us are called to interact with loved ones who are not able to find their words. Beth will share her experience caring for her mother through her blog, video clips, and other vignettes, and invite participants to tell their stories and build their skills in wordless communication through role play and activities. We will talk about the relative importance of words, how to translate for those who scramble words, or who are completely without words. Beth Whitman has facilitated widely for large and small group meetings at co-housing communities she has been a part of, as well as with the National Forest Service, Restorative Justice of Maine, and various women's groups. Her facilitation approach is derived from a host of trainings she has participated in with the techniques of Dynamic Governance, Dynamic Facilitation, Art of Hosting, Non-Violent Communication, Process-Oriented Psychology, and Alexandra Merrill. From the crucible of caring for her mother, she created a blog, “A Daughter’s Journal” (www.incareofdad.com) and poured herself into creating this workshop. 3D. Spoken Word & Environmental Justice — Christopher D. Sims: This workshop will introduce participants to the world of spoken word and environmental justice. Drawing upon Christopher's experience using spoken word poetry in the environmental justice movement to educate and inform activists and the like, we will listen to spoken word poems, discus the meaning of the language used, and learn how they were used as a part of environmental justice events. Christopher D. Sims has presented workshops about spoken word since the mid 2000s. He has also facilitated workshops and/or co-presented poetry related workshops at the Unitarian Universalist Association's annual General Assembly. He has worked with youth and adults as a performer at high schools and community events that have educated and entertained many in Rockford, IL, Beloit, WI, Chicago, IL, New York City, and other places. 3E. Circle Singing -- Rhiannon: This bold experiment in music making is a participatory ritual, allowing a sharing of culture through the medium of music, the voice in all its forms and colors. Singers gather in a circle with a conductor in the center. Four improvised patterned parts are given to the Soprano/Alto/Tenor/Bass sections. These patterns are changed and shifted by the conductor so that the singing continues for long stretches, creating a rich, deep and joyful experience. Because we sing in an invented language in this form, it is accessible across borders and cultures, making it possible to create this musical magic anywhere on the planet. Singing the Vocal River — Rhiannon: Rhiannon doesn't look like a revolutionary. When she first strolls onto the stage her warm, even maternal appearance suggests an evening of quietly engaging music making. But very quickly one discoveres that Rhiannon's vibrant personality and larger-than-life stage persona, are matched only by the smorgasbord of vocalisations she manages to conjure up. The result is often magical, perhaps even spiritual. Rhiannon is performer right out of left field with a very original take on the art of the sung word. 4A. Bringing Your Work to Community, Business, and Your Livelihood: Leverage Your Expertise as a TLA Scholar-Practitioner: Transformative Language Arts is an emerging field and practice which has proven the effectiveness of using the written, spoken, and sung word for personal and communal change. TL A facilitators can further shape the profession as practitioners and scholars by creatively showcasing their work for a variety of audiences and uses. Yvette will use her TLA inspired model to lead an experiential exercise where participants will unpack and examine key elements of their work, and compose a TLA Scholar-Practitioner Statement that introduces their professional work and establishes their expert voice. In-depth work on Leveraging Your TLA Expertise is a TLA Network online class in Fall 2016. Yvette Angelique Hyater-Adams, MA-TLA is a writer, teaching-artist, and transformative narrative practitioner in applied behavioral science. She runs Narratives for Change and is a highly sought-after leadership coach, facilitator for writing workshops, a designer of women’s and girl’s leadership programs, and she uses autoethnography for social action. 4B. Coming Back to Life: Practicing the Work that Reconnects — Teri Lynn Grunthaner: Developed by deep ecologist and buddhist Joanna Macy, “The Work that Reconnects” helps bring us back to life — back from our distractions, denial, and apathy, and into our pain, love, and hope for the living world. We will move through the four components of the work — Coming from Gratitude, Honoring our Pain for the World, Seeing with New Eyes, and Going Forth — with guided movement, writing, and ritual. Teri Lynn Grunthaner transplanted herself from California to Lawrence, Kansas in pursuit of love and homestead farming. She is working on her masters in Drama Therapy and interns at the Bert Nash Community Health Center with teenagers diagnosed with "behavioral disorders." Teri has been doing the Work that Reconnects for several years and will be working with Joanna Macy during a 10-day intensive this summer. She's happy to be living in the country with anarchists, leading Dances of Universal Peace, performing with a budding Playback Theatre troupe, and directing the Transformative Language Arts Network. 4C. Embodied Writing: Empowering Your Voice — Kate Lidfors Miller: This workshop offers an introduction to the concepts, experience and empowering potential of writing from our bodies. We'll talk about what embodied writing means and look at examples from other writers. We'll explore "focusing" as a tool to connect with our bodies' wisdom and try out the technique. A ten-minute free write will flow from this exercise. Participants may choose to share their experience and/or writing--or not. Discussion and feedback will conclude the session. Kate Miller leads workshops in community, academic and writers group settings. She holds masters degrees in English and Transformative Language Arts. She has published poetry and nonfiction and is working on a novel. She offers writing workshops and coaching services through her TLA practice, WordPow! Writing that Empowers. She is convinced that writing can heal wounds of dissociation from our bodies and the natural world and bring forth an authentic, powerful voice in each of us. 4D. Self Expression Through Sound and Play — Marguerite Walker: Welcome to "Self Expression through Motion and Play," where adults are invited to rekindle their childhood imagination and expression. The learning environment is one of encouragement and playfulness. Participants are encouraged to dress comfortably and to leave their adult restrictions at home. To quote Cheryl Richardson: "The kid in you holds the key to living a full and rich life. Let [them] out to play." Marguerite Walker: As an RN of 35 years I've experienced many human scenarios along the way. Attached to my love of observing the human condition is my passion for making people laugh and enabling them to put their troubles aside awhile. Singing also sustains my joy in life and I have participated in the Circle Songs workshop with Bobby McFerrin at Omega Institute, fall 2014. I have also participated in a day long improvisational singing workshop with Rhiannon,October 2015. I have also completed an apprenticeship in sound healing with Sandra Chaussee. 4E. Tickling the Muse: You CAN Write a Song! — Steve Chiasson: This workshop is for everyone who has a song inside that wants to come out. We’ll band together to craft a new song and in the process examine how songs work to create a uniquely engaging artistic experience. We’ll consider multiple examples of song styles and writing approaches and tweak our creation till it rocks! Newbies will get to experience the process first-hand, and experienced songwriters will come away with new perspectives and enhanced skills. When Steve Chiasson was in seventh grade, a friend handed him a typewritten note saying, “We’re starting a band. We heard that you’re a songwriter. Would you like to join?” In fact he’d never written anything and didn’t even own or play an instrument, but it sounded like fun. Armed only with an old two-stringed acoustic guitar, he immediately started writing songs (because that was the deal) and fifty years later is still at it. Hear song samples here: https://soundcloud.com/forest-audio/sets/steve-chiasson-sampler. 5A. TwentysixSixtytwo: Life from Two Directions — Rachel Hom, Rebecca Hom: Rachel and Rebecca Hom, a daughter and mother pair, host a lively, unscripted conversation exploring the stories we live. Each woman brings a point of view i nfluenced by generational, professional, racial and life experiences. Rarely is the point of view from someone who’s ‘doing it’ and someone who’s ‘been there’ expressed with such heart, humor and honor to one another. Solo and duet pieces. Audience involvement. And plenty of banter. Rachel Hom, now 27, is a communications strategist in Amsterdam, Netherlands. Rebecca Hom, 62, has been a performing storyteller, coach, and mentor for more than 25 years. The duo has presented their unscripted conversational program, TwentysixSixtytwo, multiple times to diverse audiences from city to small town, high school classes to senior communities. Each of the presenters bring an ease with group conversation, articulate expression of viewpoints, and open-hearted humor while exploring life’s puzzlements. 5B. One Person's Guide to "One City One Prompt" — Jacinta V. White: Learn how to successfully plan and execute One City One Prompt in your area with no budget! Jacinta shares how she “solo” launched OCOP in her area which received press coverage and resulted in numbers events of many writing on the same prompt! Leave with suggestions, best practices and lessons learned, and a chance to get your ideas and questions responded to by someone just like you. 5C. Sing Me a Story: Creating Community Through Family Story Time — Rachel Gabriel: Musical storytelling is a timeless way for care givers to encourage an infant’s babbling, thus creating the call and response rhythms indicative of poetic/musical forms like the blues, folk ballad, and litany. This session will include a presentation, and demo class based on the teaching artist’s experiences as a music and story time facilitator, as well as the opportunity for participants to craft original material through a series of writing exercises. Rachel Gabriel, a writer and teaching artist, encourages creative expression through the power of storytelling and the complex beauty of the human voice. A trained vocalist and joyful advocate for literature, Ms. Gabriel teaches Music Together classes to young families, and facilitates a monthly children’s story time as “Mama Ray.” She has an M.F.A. from Hamline University, and her writing and teaching have been honored by The Loft Literary Center. 5D. Place-Conscious Collaborative — Coleen O'Connell: Share in a collaborative place-conscious writing exercise that will deepen our collective interconnection with each other and nature. Come prepared to sit together on the beach, with writing utensils and paper, and be open to sharing your stream of consciousness writing with others. Fun, surprising, deep, reflective, engaging and meaningful. Poetry will emerge. Coleen O'Connell is on the Faculty at Lesley University (Cambridge, MA) and am the Director/Faculty in the Ecological Teaching and Learning MS Program. I use this exercise with graduate students each summer in my field program and after 18 summers, it never fails to excite and take us deeper into our relationship to the place we are studying and with each other. People love to do this collaborative exercise and request it over and over. Betsy Sholl, Poet Laureate of Maine from 2006 to 2011, has published eight collections of poetry, most recently Otherwise Unseeable (University of Wisconsin Press, 2014), winner of the Four Lakes Prize and the 2014 Maine Book Award for Poetry. She has taught in a range of institutions, including MIT and the University of Southern Maine, as well as conducting poetry workshops in prisons, public schools, and for various community organizations. She currently teaches in the MFA in Writing Program of Vermont College of Fine Arts. Since coming to the U.S. in 1968, a time of great upheaval, experimentation and change, Ralph Nazareth has worked in many parts of the country, devoting his time to raising his children, teaching, and working for justice and peace. After over thirty years of teaching literature in English departments at SUNY at Stony Brook &amp; Purchase, UT at Austin, and Nassau Community College on Long Island, he retired in 2015. He is in his eleventh year of being a volunteer teacher at maximum security prisons in New York State. Since 2000 he has led a group of poets every week at Curley’s Diner in downtown Stamford.